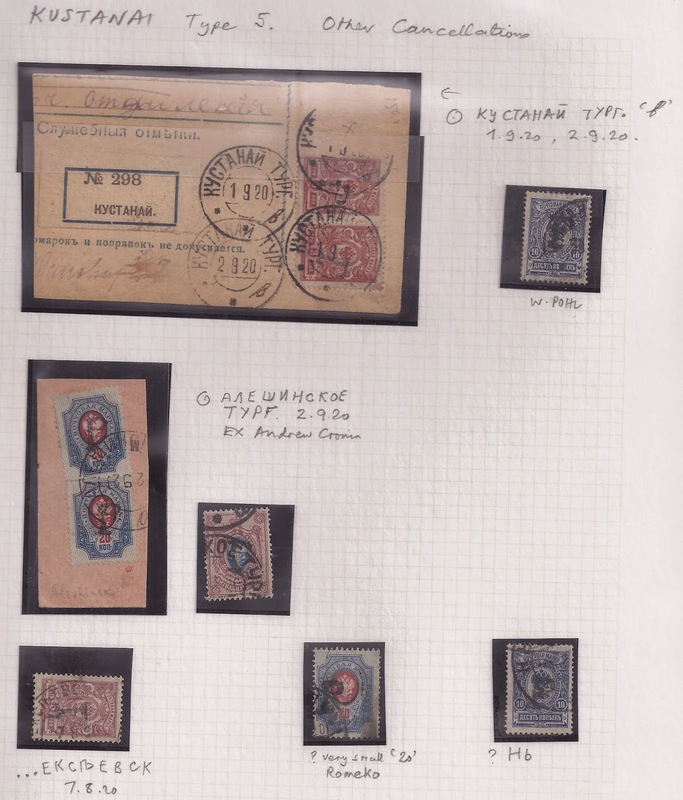 Back on 5 July 2012, I blogged about Kustanai, explaining why its 1920 Postmaster Provisionals are quite common - probably the second most common after the "pyb" revaluations of Kharkiv. Today, I tried to organise my holding of the commonest Kustanai types, 4 and 5. I only have a few of Type 3 and none of Types 1 and 2 (unless I have misclassified them). It was an interesting exercise. The great majority of my stamps with identifiable cancellations are cancelled with just one large, dirty KUSTANAI type. This is a great help in authenticating the surcharges. 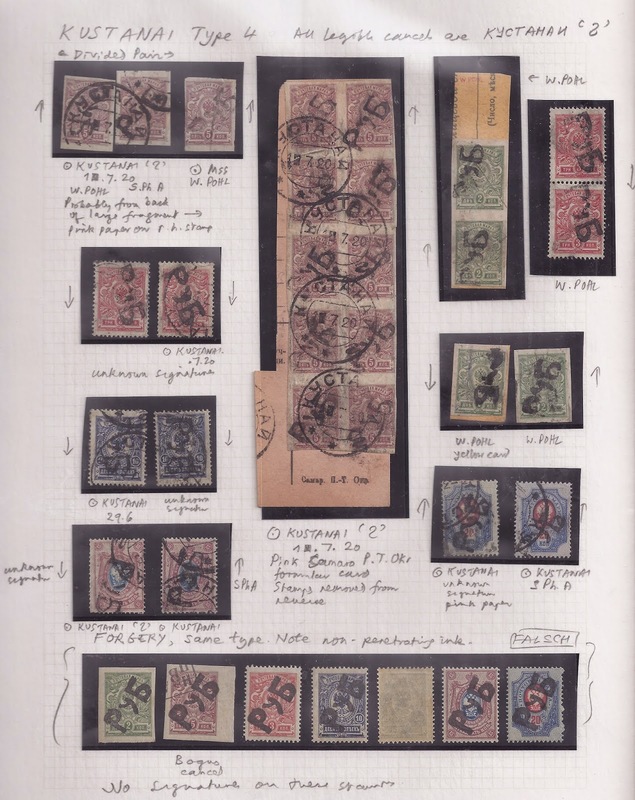 Forgeries are pathetic - the mint copies (which are never found for genuine stamps) have a New Issue Collector neatness. The used copies have postmarks which include MINSK in 1912 and KIEV in 1917 ... You don't need to pay an Expert to tell you these are fakes! There are some "difficult" cases. 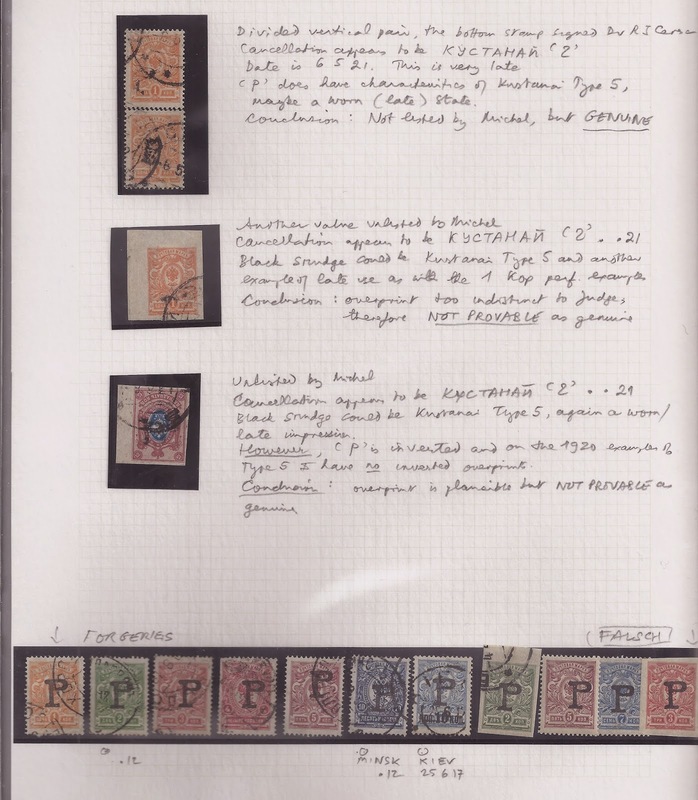 It does seem that some kopeck value stamps not listed in Michel were overprinted with Type 5 - the 1 kopeck perforated and imperforate and the 15 kopeck imperforate. 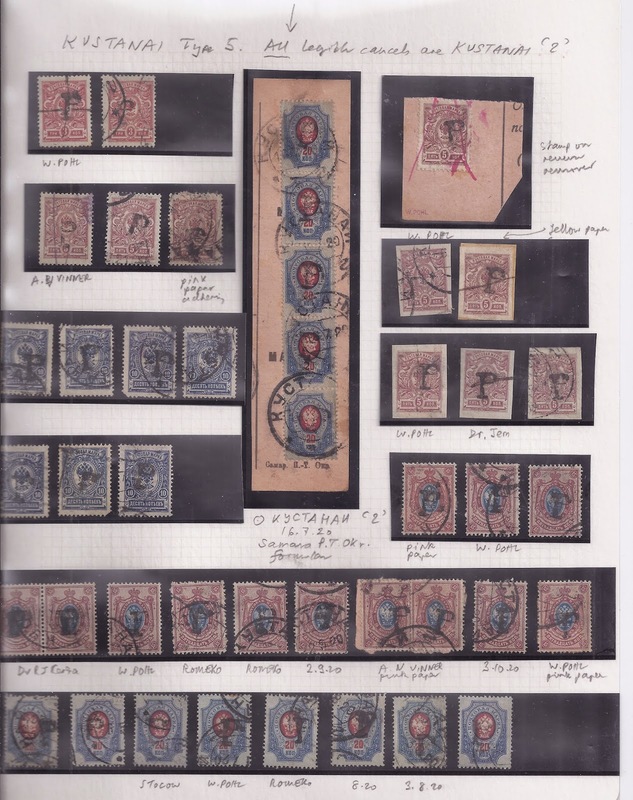 But the copies I have show 1921 postmarks - not impossible but later than the vast majority of Kustanai cancellations. They also show Type 5 in a worn state - consistent with there being a second round of overprinting in 1921. But to make further progress I need a fragment of a Formular card with a clear 1921 cancellation and preferably several overprinted stamps. Any offers? As usual, Click on the Images to Magnify.